Similar to teaspoons, serving tablespoons feature a larger bowl and are used to serve vegetables. 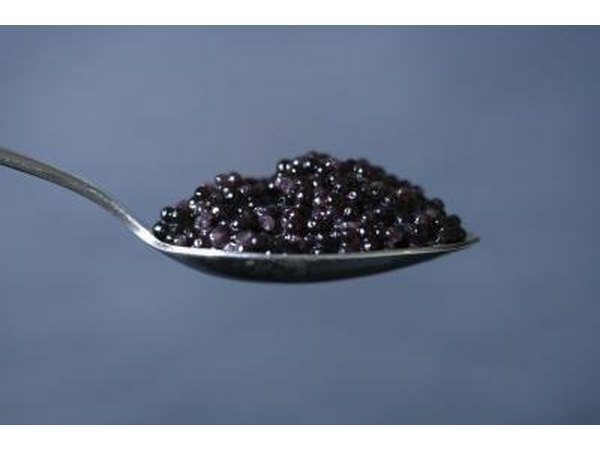 Two main types of serving tablespoon exist--the regular tablespoon and the pierced tablespoon. Regular tablespoons are meant to be used with thicker vegetables that don't need to be drained, like mashed potatoes. Pierced tablespoons are used with vegetables that should be drained while serving, like corn. Pierced tablespoons can come in a variety of designs from actual holes to slots to special holiday images. 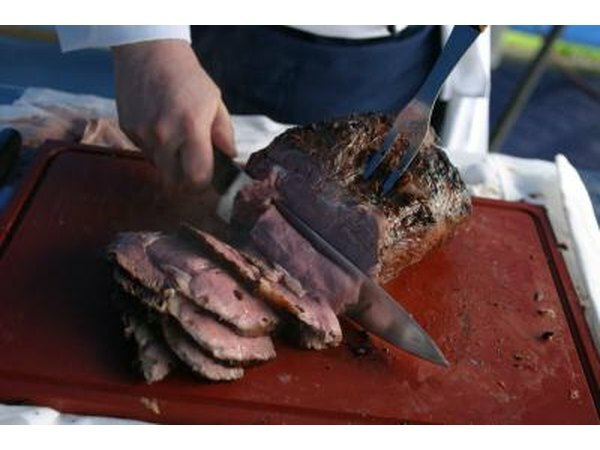 Typically a large four-pronged fork, the meat serving fork is meant to be used to serve cold and warm meats like ham, but it may do double duty on your table as a server for cheeses, sliced vegetables or waffles. 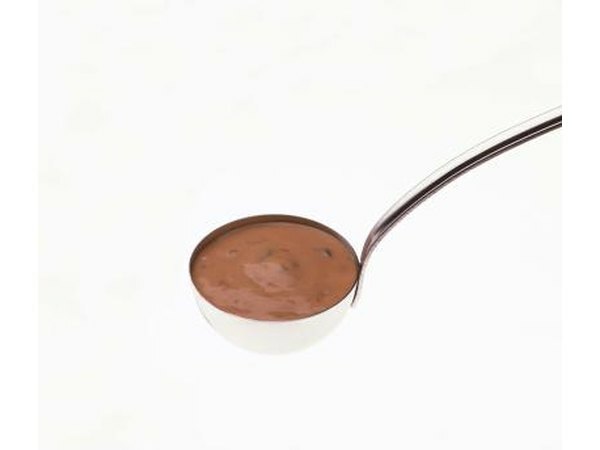 Featuring a long handle with a small bowl at the end, ladles are mainly used to spoon liquids onto other items but may serve an individual liquid, such as soup. 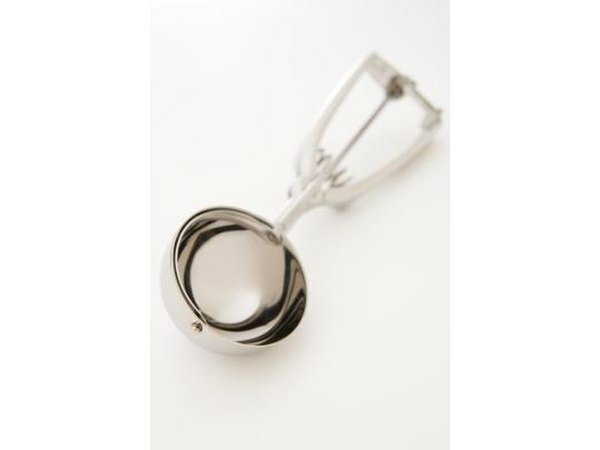 A number of different types of ladle are available, but the most popular ladles tend to be soup ladles, gravy ladles and sauce ladles. A ladle's bowl depth varies by type, and more unique ladles, like the boiled potato ladle, may be found for some solid foods. A staple on many tables, a salad serving set can go a long way. 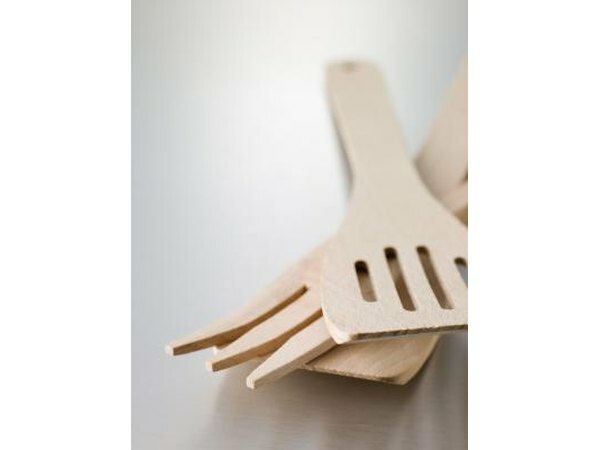 Available in standard metal or a variety of woods, salad serving sets feature a fork and a spoon that are used together, much like tongs, to lift salad from a bowl. Chances are you've seen a butter server--your mother probably even had one. 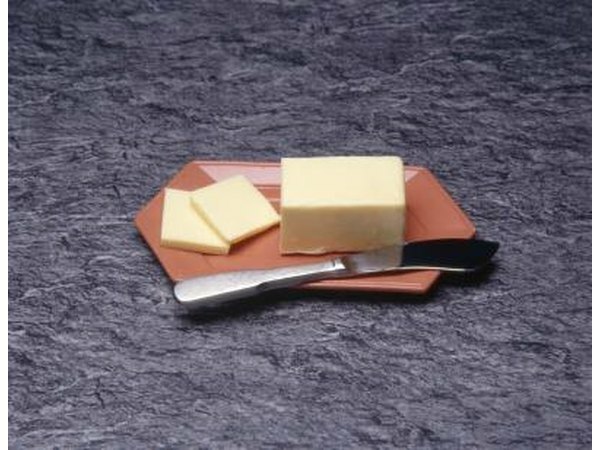 Another staple of the modern table, a butter server is a type of knife used to cut and serve butter. Typically, a butter server will have a curved blade edge and a blade that sits back, in a type of z-shape from the handle. Over the years, a variety of serving pieces have been created and used for very specific functions. Dessert servers are meant to serve everything from ice cream to cake to pie. 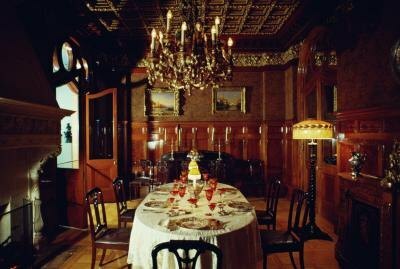 A number of forks, like the bacon fork, baked potato fork, fish fork, pickle fork, lemon fork and sardine serving fork, are meant to serve their respective delights. A variety of spoons, such as the berry spoon or stuffing spoon, which features an especially long handle, also exist.